Laws states her case that both animal and earth advocates must encourage political leaders to widen their lens by embracing nonhumans as constituents. In her view, environmentalists focus on the whole—ecosystem, natural processes or sustainable management of resources—while animal activists focus on each individual sentient being because it is the individual who writhes in pain, not the species, ecosystem, forest, or stream. Caring for the needs of both the individual and the whole is important. In her memoir, Rebel in High Heels, television personality and long-time animal activist, Dr. Charlotte Laws, promotes the idea of moving from a democracy to an omniocracy—a government with representation for all living beings. In her tell-all memoir, Rebel in High Heels, long-time animal activist, Charlotte Laws, shares lessons learned in building character, being creative and developing both courage and confidence. Short in stature but ferocious in mindset, Laws persevered, which gave her the confidence to fight and defeat internet criminals. Character, creativity, courage and confidence are also traits that have made Laws well-known in the U.S. animal community. She is a television commentator, public speaker, and former Southern California politician. Plus, she was a weekly pundit on the NBC show "The Filter" for four years. 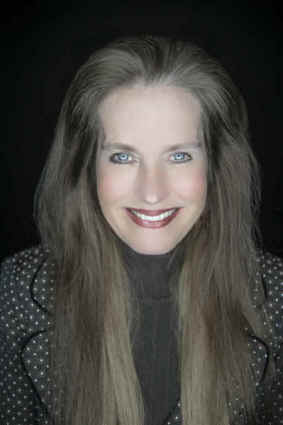 Her articles have appeared in Newsweek, the Los Angeles Times, Salon, the Washington Post and the Daily News. She holds a Ph.D. in Social Ethics from USC and has completed post-doctoral coursework at Oxford University, England. The founder and president of two organizations: Directors of Animal Welfare (DAW) and the League for Earth and Animal Protection (LEAP), Laws received the Los Angeles Animal Humanitarian Award in 2006. During her time as a city commissioner and as a member of the Greater Valley Glen Council in Southern California, she fought to make sure the definition of “stakeholder” included non-humans. “I felt it was important to protect their interests,” she states, as she was the first politician to run on the platform that she would represent all beings in her district, not just the humans whom she maintains are the elite. Although no longer in public office, she continues to promote the idea of moving from a democracy to an omniocracy— a government with representation for all living beings. Laws penned a most fascinating chapter in a 2015 anthology entitled, Animals and the Environment: Advocacy, activism and the quest for common ground about this very subject. This caused Laws to grow up empathizing with underdogs regardless of whether they were animal or human. On a mountaintop with her dog, she had a spiritual experience in which she realized her mission in life should be centered on annihilating prejudice. This was followed by another epiphany at age 21. While waiting for a friend to arrive for a lunch engagement, she picked up a book to occupy her time: Peter Singer’s Animal Liberation. After half an hour of reading, her life was forever changed. At lunch that day, she realized the platters of sausage and bacon were dead animals—former beings who’d had needs and desires. They were victims of speciesism (the false and prejudiced belief that humans are superior to other living creatures). Laws never ate meat again and dedicated her life to animal advocacy. Laws hopes that the first two decades of her journey as told in Rebel in High Heels will inspire readers to persevere, help others and live in the bold zone, “The bold zone is the area beyond one’s ‘comfort zone’ where fierceness resides,” she explains. “It requires ‘showing up,’ taking calculated chances, going at life with gusto and becoming an accomplished, caring and relentless force of nature.” This is something anyone who has fought for an animal can relate to, whether one socializes feral cats, protests meat eating, or endlessly seeks the perfect forever home for a rescue. Perseverance is the key to success, and a life is well-lived when assisting a sentient creature in one’s care. Laws views othercentrism (helping others) as the key to happiness. Those who work tirelessly to save lives and better the world for all of its inhabitants would no doubt agree with her. Rebel in High Heels is available in bookstores and on Amazon, and it should come as no surprise that the author currently shares her life with three rescued dogs and eight rescued chickens. Award-winning author, Denise Fleck, is the founder of Sunny-dog Ink, a company that helps people and their pets through Pet First Aid & CPR training. She is a former Paramount Studio publicist and developed the curriculum for high school animal care as a joint project between the Burbank Unified School District (BUSD) and the Burbank Animal Shelter. She has authored nine books, including Don’t Judge a Book by its Cover and has twice been a finalist for the Pet Industry’s “Woman of the Year” award. You can contact her through her website at www.Sunnydogink.com/a>..